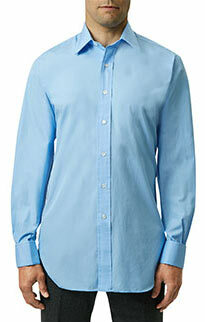 This zephyr cotton shirt is the ideal shirt for your Spring wardrobe. Historically Zephyr is the original cotton weave of English shirts. 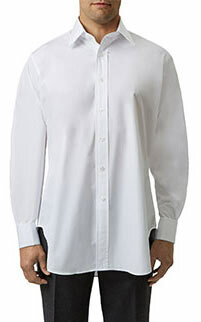 The cotton is non-mercerised, avoiding the sheen of the more formal poplin. At ease with cords or a blazer, the subtle design with a sky blue overcheck adds a touch of colour to a classic design. Ideal as the weather brightens up teamed with a batiste hank for work or weekend wear.